Performance. That's what you expect from a truck. When you consider a pickup, you're not looking for something for simple joy-riding or to turn heads driving down a city block. You want something with muscle, a reliable machine that's by your side to do the toughest work imaginable, day by day, year after year. Not just any truck fits the bill-but a Dodge RAM 1500? 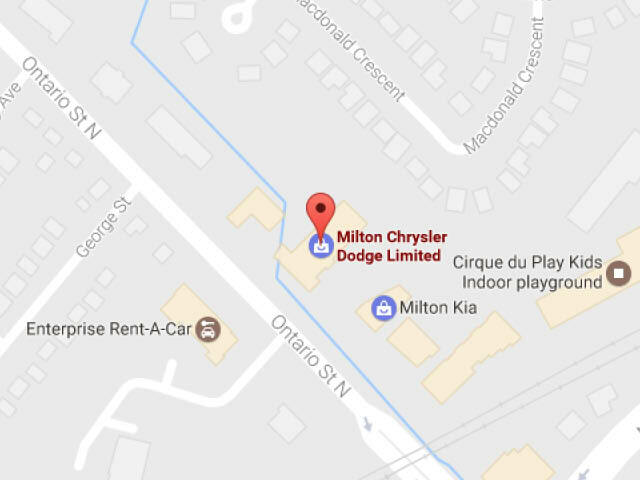 It excels at every turn, and Milton Chrysler is the top source for a Dodge Ram 1500 for sale in the Mississauga area! The RAM 1500 is not just a truck that provides the power, towing capacity, and durability that exceeds your expectations, it also happens to be exhilarating to drive as well as unmistakably stylish and unbelievably comfortable-that's right, you get to have the guilty pleasure of seeing heads turn as you roll by, as well as taking it out for a spin just for fun once in a while on the Mississauga streets. It's ok, enjoy your RAM. You've earned it. While the Dodge RAM 1500 looks amazing on the outside, it truly shines where it counts the most-on the inside. When equipped with the iconic Best-Selling 5.7L HEMI® V8, the RAM 1500 packs power to award-winning levels that dominated the 2017 Canadian Truck King Challenge! As a 3-year winner, the RAM is no stranger to the rough conditions and grueling tests required from its competitors. With you behind the wheel, no challenge or obstacle is too great for the RAM 1500. This is the truck that never backs down. This is the truck for you. Think you can handle a Dodge RAM? Get in touch with Milton Chrysler today and book a test drive-you won't be disappointed by choosing the dealership for finding a Ram 1500 for sale in the Mississauga area! "We are home to the Best Price Guarantee!" 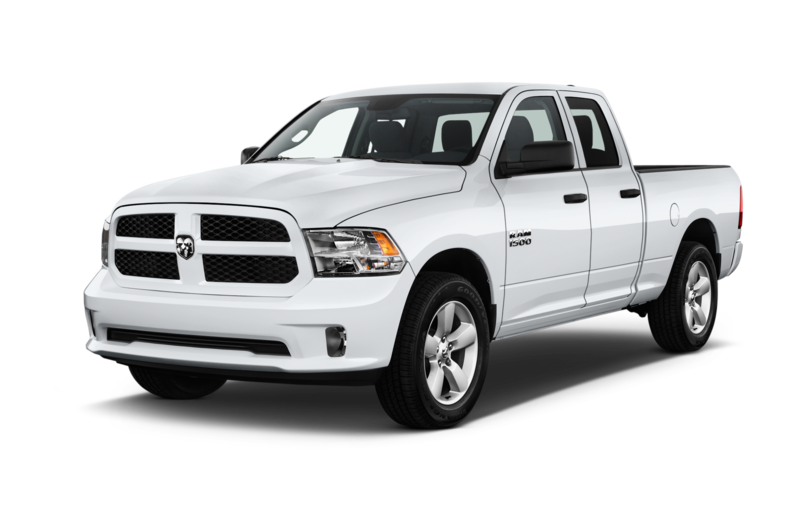 Come and check out our Dodge Ram 1500 collection for sale today! Canada's Best-Selling engine delivers a ground-rumbling 305 horsepower and 269 lb-ft of torque, while maintaining an amazing fuel economy as efficient as 9.6 L/100km highway! With Canada's Best-Selling V8 engine, you're ready to take on anything, with a massive 395 horsepower, 410 lb-ft of torque, and a whopping 4,826kg towing capacity! This Class-Exclusive engine not only provides a stunning 420 lb-ft of torque, but does so at an incredible Best-in-Class fuel economy of 8.0 L/100km highway! The Canadian Truck King Challenge tests out the capabilities of industry-leading trucks in strenuous challenges that put their abilities to the limit. Rough off-road courses through rocky and hilly terrain, dead weight pulls, countless obstacles of mud, uneven and unpaved ground, and more, all serve to uncover the best pickups of their class. And the Dodge RAM 1500 won. 3 times. That's serious capability you can depend on. Come discover the power of Milton Chrysler's Ram 1500s for sale. Your truck, like a good power tool, needs to be reliable and work when you need it, every time. That's why Dodge RAM builds trucks that last, and the RAM 1500 is no exception. Comparing light-duty trucks sold over the past 28 years, an incredible 81% of RAM 1500's are still on the road today! Compare that to the competing GMC and Ford at 70%, and Chevy at 68%, and it's clear which truck you can depend on for the long term-the Dodge RAM 1500. A truck needs to be as versatile as it is powerful-you don't use a truck for one thing and one thing only! Most hard work involves a wide array of different and varying tasks, and the RAM 1500 is up to it. With the RAM 1500's Best-in-Class versatility, no other truck gives you as many options when it comes to your cargo and equipment. Features like the class-exclusive RamBox® Cargo Management system, under-seat storage, and a fold-flat load floor ensure you have more than enough space for all your gear. Top it off with a towing capacity of up to 4,826kg, and you'll never have to leave anything behind again!